Earlier this month we wrote about an iPhone 5 case that claimed to fix the lens flare/purple haze issue. Many users have experienced a purple haze when taking photos in bright light with their iPhone 5. It is without a doubt that this purple haze can get annoying at times. Thus, a new app called Camera Fix was released that can help you get rid of the purple haze in your photos. 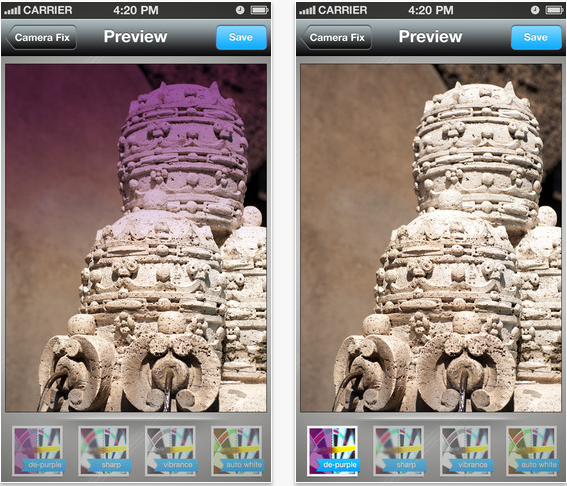 Unlike the camHoodie case, Camera Fix is an app and uses a filter called ‘de-purple’ to get rid of the purple color. You can’t take photos using the app, but you can de-purple photos by selecting them from your Camera roll. Some shots on the iPhone have a problem of chromatic aberration which alters photos displaying a blue-violet halo. This app contains a filter, depurple, which eliminates this problem with a few simple taps. The app also has other filters such as Sharper, Vibrance and Auto white-balance. It is a simple, yet effective way to remove the purple haze without the use of a case. The app shows a preview of the filter before applying it, so you can see the results before saving it. 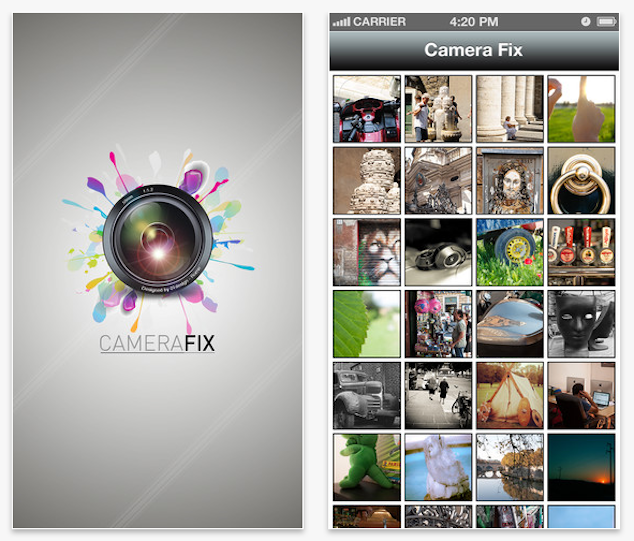 Camera Fix is available in the App Store for $0.99, which is cheaper than buying a case.